As Hillary Clinton moves on from the Senate to her new position as Secretary of State, New York Governor David Paterson is looking for someone to fill her Senate seat for two years, ending with a special election in 2010. Among those being considered is Caroline Kennedy, daughter of President John Kennedy and niece of longtime Senate fixture Teddy Kennedy of Massachusetts. Kennedy is an independently wealthy mother of three, author of a handful of bestselling books on politics, literature and the law. She is a lawyer admitted to the bar in New York and Washington, a former journalist and a very successful advocate for public education who was largely responsible for raising $65 million in private funds for special programs in the New York public schools. Kennedy has held down a real 9 to 5 job, working in media relations at the Metropolitan Museum of Art and has served on the boads of various charities and foundations. At the age of 51 she is politically active, well educated and has a wide variety of useful experience. She is also a well known figure in liberal political circles and has been the focus of media attention since she was a small child living in the White House. This typical comment illustrates the bizarre thinking of many of those who are criticizing Kennedy’s interest in serving in the Senate. How can it be a “turn-off” that someone with every opportunity to sit back and just enjoy life would choose to sacrifice their time and their money and their hard work to step forward and use their skills and knowledge on behalf of the people by serving in the Senate? What more appealing motivation could there be than a selfless desire to be a spokesperson for the people in the highest house of government? Clearly Kennedy turns off Alison Stewart. She makes the idea of volunteerism sound strangely suspect. But isn’t volunteerism supposed to be a good thing? Is she right, or do most people like the idea of someone who isn’t a career politician offering themselves for public service? Yet how different are Kennedy’s qualifications from those of others who we consider qualified for the same job? Hillary Clinton who currently holds the seat is a lawyer and was First Lady. Kennedy is also a lawyer, was a First Kid, and has held a variety of other volunteer and paid positions. She’s certainly as qualified for the job as Hillary Clinton was when she moved to New York and ran for the Senate. At least Kennedy has been a New Yorker for more than a few months. But isn’t “knowing the right people” actually a pretty useful skill to have when you’re making deals and framing legislation in the Senate? Isn’t it a real asset to be able to go to prominent leaders and instantly be taken seriously because of who you are and where you come from? Isn’t Caroline Kennedy likely to automatically be more effective as a legislator because of who she is than someone with no background and no connections would be? Isn’t that a major asset which will benefit her constituents? The truth is that growing up in a political family and with the family connections which she has, Kennedy has been constantly immersed in politics and political activism for most of her life. She grew up surrounded by leading political figures and was fed liberalism with her morning cereal and public service with her dessert at dinner. Consider this question as well. 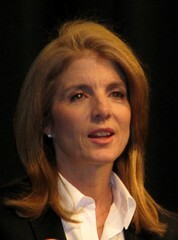 If Caroline Kennedy was a CEO who was as successful in private business as she has been in fundraising and promoting causes and if the boards she had served on were corporate boards instead of charity boards, would the same questions be asked about her qualifications? If she were Mitt Romney before he was governor or Michael Bloomberg before he was mayor or Arnold Schwarzenegger before he was governor, would she still be considered unqualified? Her experience in the world of charity and fundraising is awfully similar to their experience in business when they first ran for election. The other more general criticism levelled at Kennedy is that she is part of a political “dynasty” because so many of her relatives have served in public office. Well, so is our current president. So is Hillary Clinton. So is her uncle Ted. So are a good many of the people currently serving in the House and Senate who come from political families or have political connections from Evan Bayh to Jesse Jackson Jr., to her cousins Patrick and Joe who are both in the House. It’s a legitimate charge, but if it’s a real disqualification we’re going to have a lot of empty seats in the halls of power. Like it or not, celebrity and family and other aspects of a person’s background legitimate qualifications for office, just as valuable as an Ivy League law degree or a fat bank account, both of which she also has. The only real question that should be asked about Caroline Kennedy is whether she will do a good job of representing the interests of her constituents in the Senate. I don’t agree with her on most issues and wouldn’t vote for her myself, but there’s no question that with her background, experience and connections she will be an effective advocate for the people of New York, and her views and ideas ought to please a constituency which voted overwhelmingly for Hillary Clinton. She may not be a professional politician, but an earnest volunteer will porobably do more good than another jaded political hack. With Hard Times Coming Should You Be Armed?